I am a self-confessed lover of Micellar water. I love how it makes your skin feel cool, fresh and super clean, I use it everyday to wake my skin up in the morning and also before I get into bed to make sure all specks of the days makeup has been fully washed off. 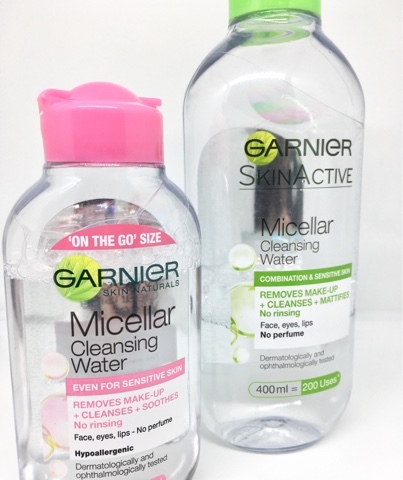 My favourite Micellar water is from Garnier which is probably most women's favourite because the quality is brilliant and the price is equally as brilliant! Usually I will always pick up skin care products that are designed for oily/combination skin as that is what I have, however that is until now! 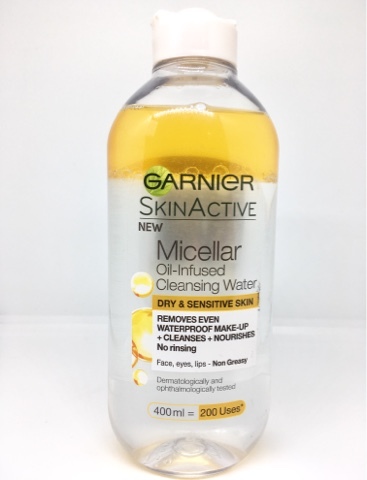 I was out shopping with my friend Jo who said she used the Micellar Oil-Infused Cleansing Water from Ganier and she loved it, however the word 'oil' usually makes me discount products instantly but because I trust Jo I thought I would give it a go and I am not disappointed!!! "Is Garnier Micellar Oil-Infused Cleansing Water Right For Me? Yes, if you are looking for an efficient, yet gentle cleanser that removes all make-up (even waterproof), impurities and dirt and leaves skin feeling nourished. Suitable even for dry, sensitive skin. Micellar Oil-Infused Cleansing Water is an easy way to remove even waterproof make-up, and cleanse and nourish the feel of skin, in 1 step without rinsing. For the 1st time Garnier Micellar technology is formulated with oils. The micelles (cleansing agents) capture impurities like a magnet & lift away dirt from the skin, whilst the oils instantly dissolve all types of make-up. Perfectly cleansed, nourished feeling skin without rubbing or rinsing." I absolutely love this product and I strongly recommend anyone with oily skin to give it a go! It feels much lighter on my skin, almost like it soaks straight into my skin rather than just sitting on it and the smell is delicious. After 30 seconds the light thin oil has soaked into my skin leaving it soft, smooth, dry and ready to go. I can't say enough good things about this product and I am so glad I took a chance on that naughty word 'oil'. March Birchbox - The Best One Yet!